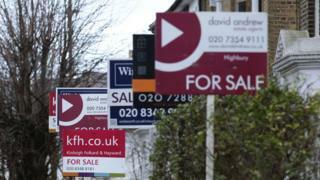 Home-buying and selling in England and Wales could be "faster and less stressful" under plans to simplify sales and tackle gazumping. Communities Secretary Sajid Javid launched an eight-week review, saying he wanted to "hear from the industry" on how to streamline home-buying. Ways of locking in deals and stopping sellers accepting higher offers at the last minute will be considered. But Labour said the plans were "feeble" and "smack of political diversion". "This is a government out of touch and out of ideas," said Shadow housing secretary John Healey. "After seven years of failure, ministers still have no plan to fix the housing crisis." Where can I afford to rent or buy? House prices: Have they actually gone up? The current 'call for evidence' follows proposals announced this month to look at new ways to protect leaseholders and tenants from "rogue agents" - both part of a drive by Mr Javid to modernise and improve the housing market. Although a million homes are bought and sold in England every year, a quarter of sales fall through, wasting hundreds of millions of pounds. Gazumping - when a seller accepts a higher offer from a new buyer, having previously accepted a lower offer - is among the most contentious of house-buying practices. Ministers will look at schemes such as "lock-in agreements" as a means of building confidence in the housing chain, which often collapse leaving those involved disappointed and out of pocket. The review will also look at ways of speeding up the process of home-buying, and will consider how to advise home buyers and sellers so they are sale-ready. Mr Javid called on estate agents, mortgage lenders and solicitors to share their experiences of the housing market - in order to "help save people money and time so they can focus on what matters - finding their dream home". He said: "Buying a home is one of life's largest investments, so if it goes wrong it can be costly. That's why we're determined to take action. "We want to help everyone have a good quality home they can afford, and improving the process of buying and selling is part of delivering that. " Alex Neill, of consumer magazine Which?, described the house-buying process as "outdated and flawed". "Buying a home can be one of the most stressful experiences in life, with sales often taking too long or falling through, with some consumers losing substantial sums of money. "The government must put consumers first, ensuring that estate agents deliver a better service for both home-buyers and sellers and that the conveyancing process is simplified." Mark Hayward, of the National Association of Estate Agents Propertymark, agreed there was "scope to improve the process for home buying and selling". But the estate agent Robert Red from Wright Marshall estate agents said stopping gazumping was difficult to avoid because it was a legal obligation to pass on an offer to a client. "No matter how distasteful I might find it, I have to, by law, report [an increased offer] to my client, and my client will make the decision about that offer, and I have to carry out their instructions via the legal process," he told BBC Radio 5 Live. In a government survey of more than 2,000 people who have bought or sold a home recently, nearly half (46%) of sellers had concerns about a buyer changing their mind after making an offer. The survey found a quarter (24%) of sellers said they would use a different estate agent if they had to go through the process again, while almost a third (32%) of sellers and 28% of buyers were dissatisfied with the other party's solicitor. Have you ever been gazumped or affected by the issues raised in this story? Please email haveyoursay@bbc.co.uk with your experiences.